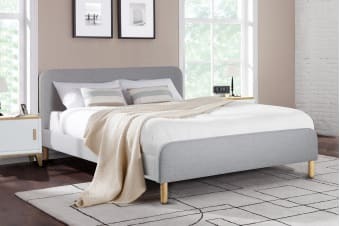 Sleep in style with the comfortable, elegant Ovela Kastellet Collection. 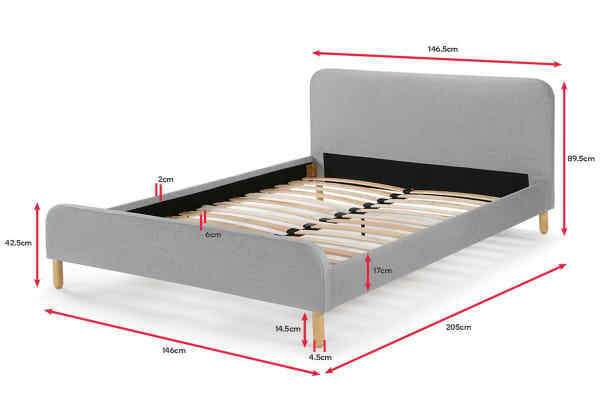 The classic, simple and sophisticated Kastellet bed frames make a perfect centrepiece for any bedroom. 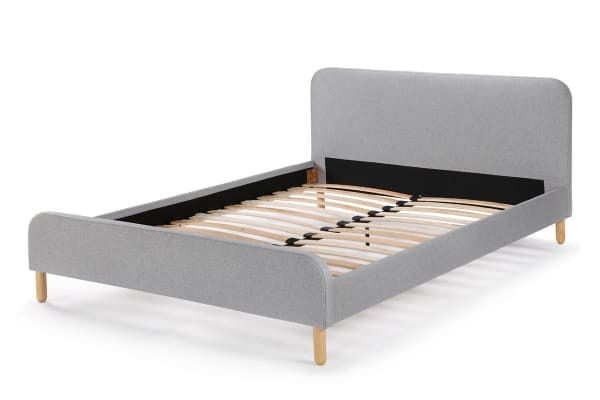 The padded headboard provides a comfortable place to rest, with a gorgeous pearl grey textile finish set off by natural timber legs. Designed for easy assembly and long lasting style, you’ll fall in love with its understated glamour.